It's been one of the hottest summers on record. 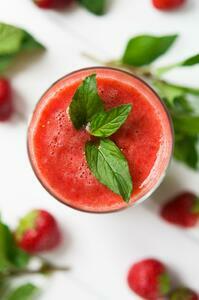 Skip the chemicals and make your own electrolyte replacement drinks to keep cool this summer. This has been one of the hottest summers on record, especially here in Europe. The body's natural way to deal with the heat is through perspiration, which helps cool the skin as long as the relative humidity isn't too high. However, heat and perspiration also cause rapid dehydration so it is important to keep hydrated. This can be done by drinking water regularly, avoiding dehydrating caffeinated drinks, and eating or juicing foods high in water and electrolytes. Juicing these foods is especially effective, since the body will save the time and energy required to digest the insoluble fiber. Here's 4 of our favorite ingredients, followed by three great recipe ideas. There's a reason behind the old saying “cool as a cucumber.” That's because cucumbers contain as much as 96% water. Cucumbers are great in a salad, and the juice from a cucumber is naturally light and refreshing. 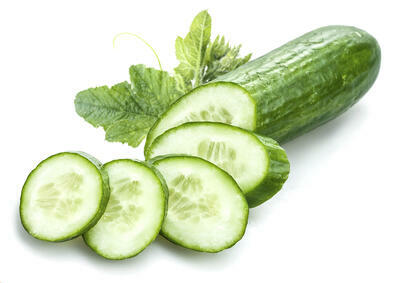 With only 45 calories in a large (300 gram) cucumber, they are very easy on the digestive system. What's best, cucumbers are high in vital electrolytes that are lost during perspiration. In fact, cucumber juice mixed with water, lemon, and mint is far better than any sports electrolyte drink. 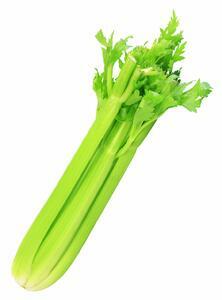 With only 10 calories in a stalk, celery has always been considered a “diet” food. But it is also very hydrating, with a 95% water content. 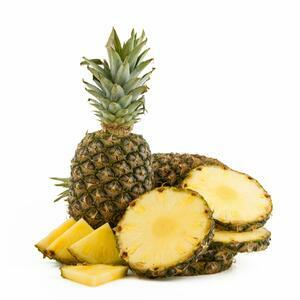 It is high in anti-inflammatory phytonutrients, especially ones which can promote digestive system health. When juicing, make sure to juice the leaves as well, as they have a high concentration of potassium, calcium, and vitamin C.
The secret weapon in pineapples is an enzyme called bromelain. This enzyme is a superstar of the digestive system, helping protein to be more easily processed by the body. In addition, bromelain is a potent anti-inflammatory, and can provide relief to joints or muscles aching in the summer heat. 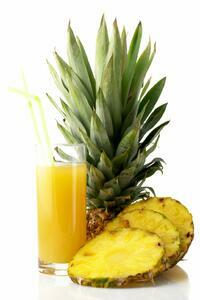 With a respectable 87% water content, pineapple juice is a great ingredient to add to a refreshing summer drink. Watermelon is practically perfect for summer. Not only does it have an amazing 92% water content, it also is low in sugar and calories at only 46 calories per cup (150g). Even better, it contains a significant amount of lycopene which is an anti-inflammatory antioxidant. That's the same compound which makes tomatoes so healthy as well. Lycopene also helps keep your eyes healthy by protecting against macular degeneration. 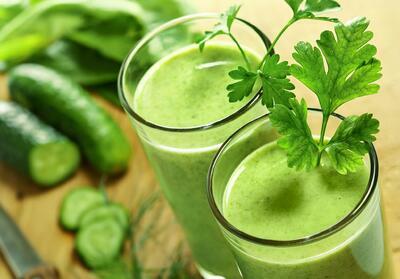 Cucumber juice on its own is a great electrolyte replacement drink. We've added an apple for sweetness, as well as lemon and ginger to help spice things up. In addition, ginger helps keep your stomach relaxed. Wash all ingredients well. Cut apple and cucumber. Don't peel the cucumber, as the skin contains important nutrients. Alternate ingredients while juicing. The lime gives a good balance to the distinct celery flavor, while the mint adds its own refreshing coolness to the classic watermelon taste. Serve over ice if desired. Wash the lime and celery. Cut the celery into 2-inch pieces to prevent the celery strings from jamming. Alternate juicing the watermelon with the other ingredients. 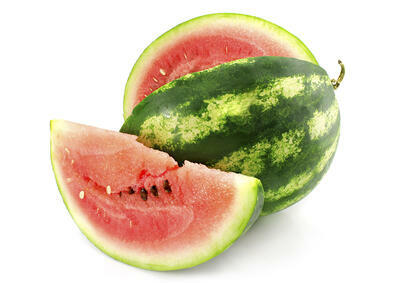 Don't worry about the watermelon seeds, as the juicer will filter them out. The pineapple juice will help keep your stomach healthy, and the coconut water is sometimes called "the natural sports drink" because of it''s high electrolyte levels. Make sure to use all-natural coconut water without any added sugar. Juice the pineapple first, then the lime. You can juice the lime with the skin if you don't mind the added intense flavor. Mix with the coconut water and pour over ice.